Medical science has produced many miraculous advancements over the last several decades. While some new healthcare technologies are still in their infancy, others have progressed from starting out as revolutionary, experimental procedures to being recognized today as routine options for almost everyone. Among the most amazing breakthroughs is the surgical procedure known as LASIK. Once a novelty, LASIK today is seen as a viable, proven option that has helped over 30 million people regain their best corrected vision. For patients in the Houston area, the news about LASIK is even better. 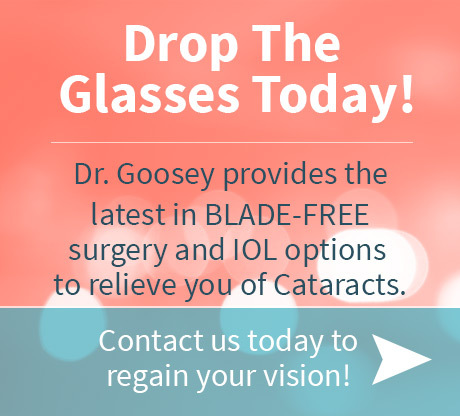 That’s because Dr. John Goosey is widely known as a pioneer in LASIK surgery, with early work in the field of laser vision correction dating back to 1992. Dr. Goosey lectures and teaches the procedure to other doctors, and his work has been recognized internationally. As LASIK has become more common and widely performed, the public’s satisfaction with the procedure has risen. One sign of vastly increased satisfaction with the procedure is the US military’s adoption of laser vision correction as an alternative to issuing corrective eyewear to personnel. Several hundred thousand American military personnel have already undergone the procedure and, according to one recent study, only a single patient out of a study pool of more than 100,000 patients suffered complications sufficient to warrant retirement on account of medical disability. Another study of military laser vision correction patients revealed that 100% of Navy and Marine Corps aviators who had LASIK performed on their eyes reported the achievement of perfect 20/20 vision at the end of their recovery period. Despite the routine nature of this widely successful procedure, however, there are a few things to be careful about when considering LASIK. As with any surgical procedure, there are risks involved. Still, the most important point of caution does not involve worries about a successful operation but rather about a patient’s viability for LASIK. Some people do have existing eye problems or genetic variations in their eye structure that make them poor candidates for LASIK. Expert doctors like Dr. Goosey are quickly able to identify these patients during a free and careful pre-operative consultation. For those who are cleared to have the procedure, the risks of surgical complications have fallen from a rate of about 1-5% in the early days of LASIK, to somewhere between 0.3 and 1.0 % today, thanks to the use of modern equipment and techniques. For that one person out of every two or three hundred who encounters a slight complication during the procedure, these matters have themselves become routine, and are usually on the order of slight variances from the norm, such as an eye flap failing to seal properly after surgery. Continued advances in the field of LASIK have rendered even these rare circumstances easily correctable with a second treatment. For those who are considering LASIK, it is important to remember that most potential complications are detected in the screening process, which means there is no chance of harm occurring. 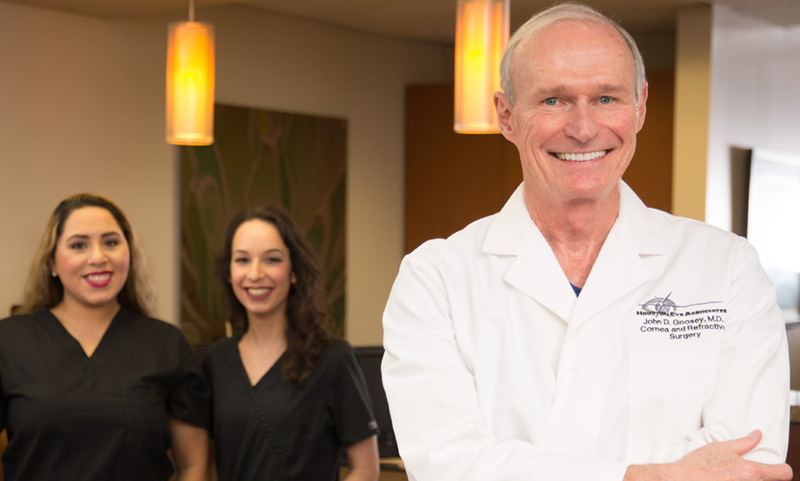 For those who choose to proceed, Houston has many doctors to choose from, with none more qualified to perform your LASIK surgery than Dr. John Goosey. He is among the best of the best in the field of laser vision correction, and his staff is ready to take your call and schedule your free initial consultation. Talk to someone who has had LASIK already and you’ll find a person whose enhanced vision has created an entirely new world of clarity and color. 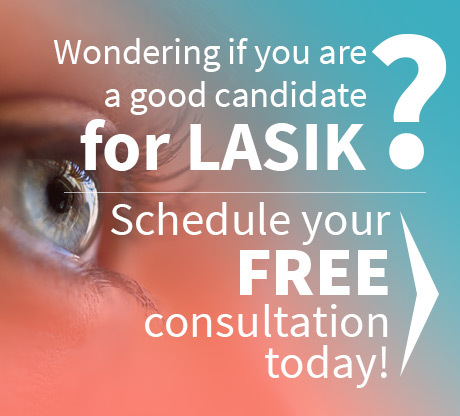 Contact our offices today for your free LASIK consultation with Dr. Goosey. We’d love to hear from you!